Kaiten Nukariya's 1913 Religion of the Samurai focuses on Northern (Mahayana) Buddhism, and Zen Buddhism in particular. This short book contains a wealth of detail, as well as very lucid explanations of seemingly elusive Zen Buddhist concepts. 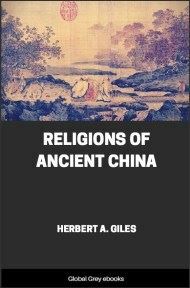 It includes a text on the 'Origin of Man' by Kwei Fung Tsung Mih, a notable Chinese scholar who was the seventh Patriarch of the Kegon sect. With extensive footnotes. BUDDHISM is geographically divided into two schools --the Southern, the older and simpler, and the Northern, the later and more developed faith. The former, based mainly on the Pali texts is known as Hinayana (small vehicle), or the inferior doctrine; while the latter, based on the various Sanskrit texts, is known as Mahayana (large vehicle), or superior doctrine. The chief tenets of the Southern School are so well known to occidental scholars that they almost always mean the Southern School by the word Buddhism. But with regard to the Northern School very little is known to the West, owing to the fact that most of its original texts were lost, and that the teachings based on these texts are written in Chinese, or Tibetan, or Japanese languages unfamiliar to non-Buddhist investigators. It is hardly justifiable to cover the whole system of Buddhism with a single epithet 'pessimistic' or 'nihilistic,' because Buddhism, having been adopted by savage tribes as well as civilized nations, by quiet, enervated people as well as by warlike, sturdy hordes, during some twenty-five hundred years, has developed itself into beliefs widely divergent and even diametrically opposed. Even in Japan alone it has differentiated itself into thirteen main sects and forty-four sub-sects and is still in full vigour, though in other countries it has already passed its prime. Thus Japan seems to be the best representative of the Buddhist countries where the majority of people abides by the guiding principle of the Northern School. 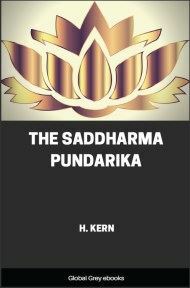 To study her religion, therefore, is to penetrate into Mahayanism, which still lies an unexplored land for the Western minds. And to investigate her faith is not to dig out the remains of Buddhist faith that existed twenty centuries ago, but to touch the heart and soul of Mahayanism that enlivens its devotees at the present moment. 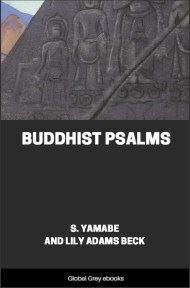 In the second place, in spite of its historical antiquity, ideas entertained by its advocates Are so new that they are in harmony with those of the New Buddhists; accordingly the statement of these ideas may serve as an explanation of the present movement conducted by young and able reformers of Japanese Buddhism. Fifthly, although non-Buddhist people are used to call Buddhism idolatry, yet Zen can never be called so in the accepted sense of the term, because it, having a grand conception of Deity, is far from being a form of idol-worship; nay, it sometimes even took an iconoclastic attitude as is exemplified by Tan Hia, who warmed himself on a cold morning by making a fire of wooden statues. Therefore our exposition on this point will show the real state of existing Buddhism, and serve to remove religious prejudices entertained against it.